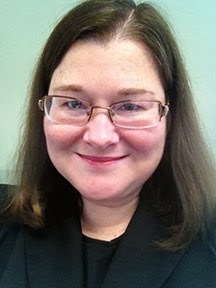 Deirdre is an attorney whose days are filled with legal writing. Outside of work, she tries her hand at many types of creative writing, and is most fascinated, and challenged, by writing stories that truly seem to come to life off of the page. She feels that her winning entry, Writer's Block, is a good example of that. Deirdre currently spends what free time she can find in a screenwriting course with the University of California—Los Angeles, and hopes ultimately to embark on a second career as a screenwriter. Deirdre received a B.A. from Boston College and a J.D. from Creighton University. She lives in the NASA area of Houston, Texas, with two young daughters and a Golden Retriever. Please enjoy Deirdre’s playful little tale, Writer’s Block, and come back to visit with the author. WOW: Hi Deidre, congratulations on your winning spot in our 2013 Flash Fiction contest and welcome to WOW! I’m curious, after a day spent researching and writing legal papers how do you recharge for a night of fiction? Deirdre: Sometimes I don’t! I try to write after the kids go to sleep, but sometimes I’m just too tired, so I get up early to write instead. Either way, I make the time because I am compelled to write, and am a happier person on the days when I have done so. WOW: Writing, motherhood, and a demanding career—how do you balance all of that? Deirdre: I try to be efficient at my job so that I can leave my work at the office. My kids come first at home, but because creative writing is so important to me, I find the time to fit it in. I realize, too, that there are times when my children can play happily while I’m typing away nearby. Sometimes my younger daughter sits next to me and writes her own stories or screenplays. WOW: How fun, another budding writer in the family! Deidre, how has your screenwriting course influenced your fiction writing? Deirdre: It has forced me to be more succinct. I have a tendency to be verbose, even in my legal writing, and that doesn’t work for screenwriting. Screenwriting has challenged me to be a better writer. It has also rejuvenated my desire to write. WOW: What catalyst launched you into screenwriting? Deirdre: I have been interested in a career in film or television for as long as I can remember. My father was a writer and producer for broadcast news, and he encouraged those interests. Although I grew up to pursue law, I have always chosen jobs that allow me to write and research almost exclusively, and written fiction on the side. A couple of years ago, I learned that an old college friend was writing for children’s television. It occurred to me then that it is not too late to pursue my dreams. As writing is my proven strength, I decided to take a screenwriting program at UCLA to see how I’d do. It turns out that I have a knack for it, and that screenwriting is a great fit for me. I am now pursuing it as a second career. WOW: Flash fiction is a bit of a stretch from screenwriting; what did you like best about writing Writer’s Block? Deirdre: It was my first attempt at humor, so I was very interested in what kind of feedback I’d receive. But mostly, it was fun. It made me smile, and I’m thrilled that it makes others smile, too. WOW: It’s a fun little story; thank you for sharing it with us. We look forward to seeing your work on the big screen!